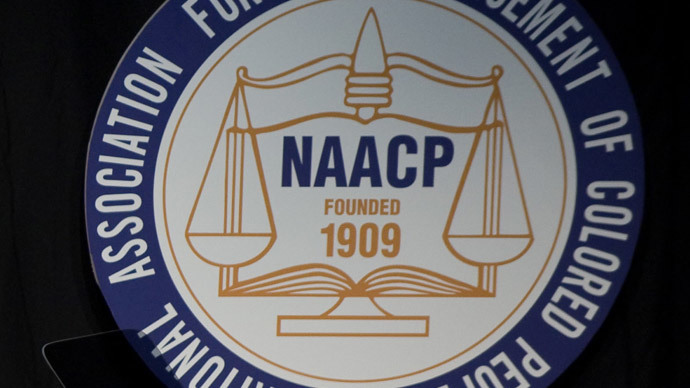 The man arrested for allegedly bombing a building that housed the Colorado NAACP has reportedly told federal investigators that the explosive device was actually intended for his accountant, who worked out of the same building. No one was hurt in the January 6 explosion in Colorado Springs, but while federal agents were investigating the incident as a possible hate crime or domestic terrorism case, 44-year-old Thaddeus Murphy said they’ve gotten the wrong idea, according to court documents seen by the Associated Press. Murphy reportedly told federal agents he was in a rage over his financial problems and his accountant wasn’t returning his phone calls or giving him back his tax records. He believed his accountant had intentionally destroyed the documents, and wanted to send him a warning with the bomb. “Murphy admitted the rationale for the pipe bomb was rage,” the court documents said, according to the AP. The pipe bomb, made of out a shotgun shell and fireworks fuses, caused minor damage to a wall of Mr. G’s Hair Design Studios, a barber shop that also shares the building with the Colorado Springs chapter of the National Association for the Advancement of Colored People. The crude device failed to ignite a canister of gasoline set next to it, but the FBI said even if the canister had ignited, the damage would have been minimal. Murphy told investigators he made the pipe bomb in his garage the night before the blast, using instructions he found online and materials he used in his work as a carpenter, according to court records. He has been charged with arson and being a felon in possession of a firearm. Witnesses told investigators they saw a white Ford pickup truck near the scene of the blast. A police detective spotted a matching vehicle on February 10, which led authorities to watch him for several days before arresting him, according to documents. Other evidence included his cellphone records, which showed he had been close to the crime scene. Dog hair was also found in the pipe bomb and matched the hair of Murphy’s brown pit bull. Investigators searched his house and found at least seven firearms, which he is barred from having because he is a convicted felon – he was sentenced to five years in prison for a 2009 felony theft conviction. They also found a pack of road flares, with one missing a hobby fuse, and 3.5 pounds of commercially available explosive. Considering the explosive’s proximity to the US’ oldest civil rights group, the FBI investigated it as a possible hate crime. If this had been an attack on the NAACP offices and its personnel it wouldn’t have been the first time. In 1965, a car bomb injured NAACP leader George Metcalfe in Mississippi; a plot to bomb the office in Baltimore was foiled in 1981; and shots were fired in the NAACP headquarters in Baltimore in 1989. A tear gas bomb injured eight children when it went off in the Atlanta regional NAACP office in 1989, and later in ’89 a letter bomb sent to a Savannah office killed Robert Robertson, chairman of the Legal Redress Committee. Other violent incidents, like a firebomb at the NAACP office in Tacoma, Washington in 1993, have since been reported.